The Prom apartments on New Brighton’s waterfront are set to unveil the new show homes on Friday 22 May. 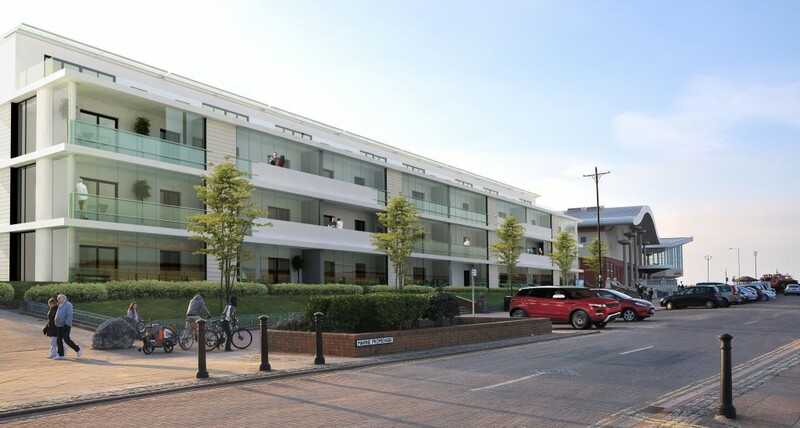 The stunning new development, which consists of 24 bespoke, purpose built apartments, is holding a range of open weekends across May and June for prospective buyers to visit the show homes. The open weekends will take place over four weekends, on each Friday and Saturday from Friday 22 May until Saturday 13 June. Visits will be available by appointment. The apartments range from one bedroom, up to four bedrooms, with each home benefitting from fully glazed ‘winter’ balconies, allowing owners to enjoy the sea-views across Liverpool Bay all year round. In addition, the homes offer buyers master bedrooms with en-suite bathrooms and private parking with constant CCTV coverage. Eight of the apartments will be duplex, and will have their own rooftop terrace, alongside large living spaces. Homeowners at The Prom will have the magnificent Floral Pavilion Theatre and Marine Point on their doorstep, with great restaurants, bars and a cinema. New Brighton train station is only a 10 minute walk away too, which has good links to both Liverpool and Chester, making the apartments attractive for those who work in the cities. Over half of The Prom homes have been sold already with the first owners set to move in soon. Sue Taylor, agent for Almond Properties which is marketing The Prom @ New Brighton, says: “This is a unique opportunity to buy a stunning waterfront property, unlike any other in New Brighton or the Wirral, and we’ve already had a great response from buyers. The Prom properties are also available under the Government’s Help to Buy scheme which offers buyers the chance to buy a brand new property with a small deposit.